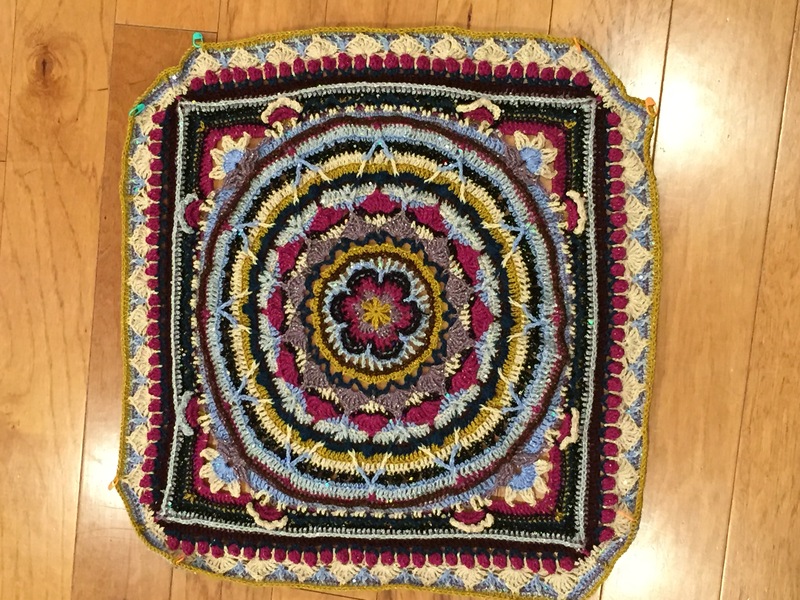 I decided to join the CAL over at “Look At What I Made” this year – I really love doing these CALs. I like the support of all the creative people who are also a part of this and I love seeing everyone else’s work – the colors that they choose really intrigues me. 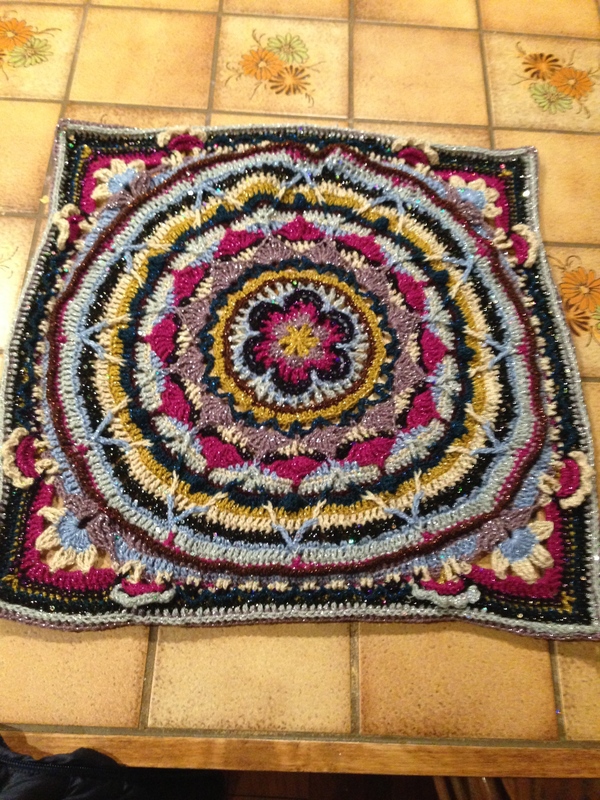 Sophie’s Universe – Part 1. 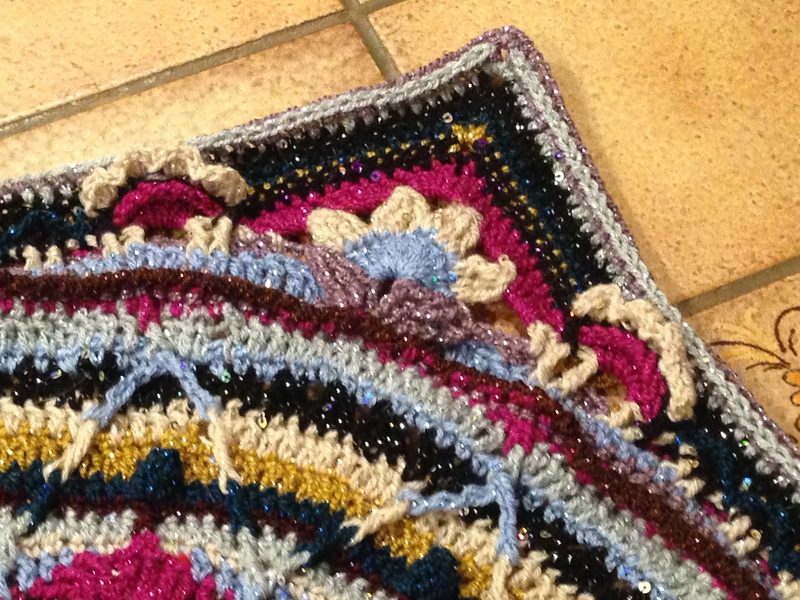 I have been crocheting for many years now, but have never tackled anything as complicated as this pattern. At first, I thought that I would never be able to do this. It seemed very hard and there were many stitches I didn’t know how to do. But I powered through and before the week was out, I managed to complete part 1. Sophie’s Universe – Part 2. Part two was equally challenging, but the instructions and pictures that accompany the instructions are VERY good and I was able to again complete part 2 on time. Sophie’s Universe – Part 3. Ah…Part 3…how challenging you were! 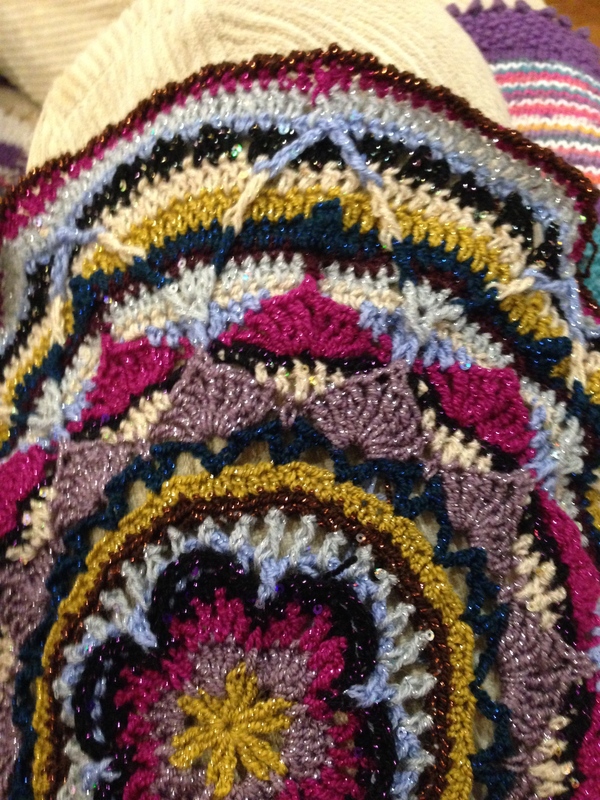 Count and recount, what is a treble crochet? Lots and lots of new things to learn here. Again the pattern and pictures saved me. Have I said how well this pattern is written? It is written REALLY, REALLY clearly. I believe that I WAS a novice crocheter, but I am able to keep working on this. Sophie’s Universe – Part 4. 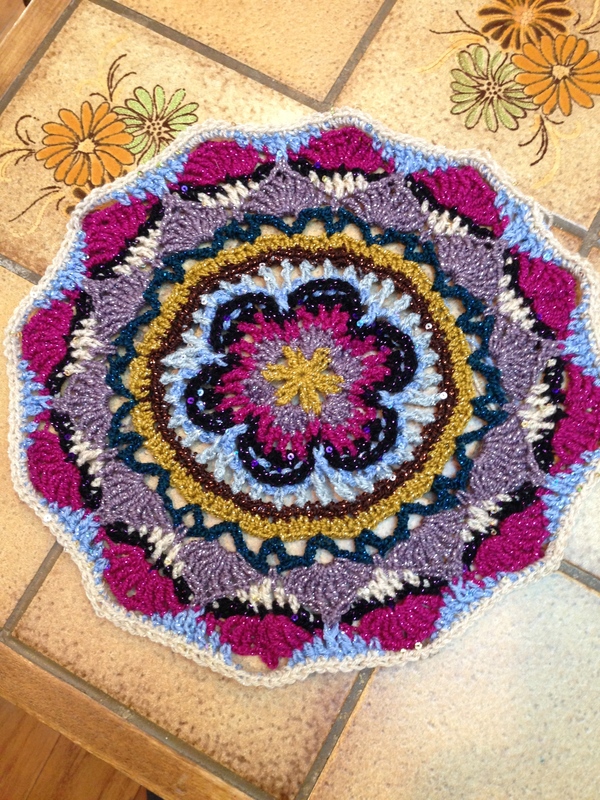 Part 4 – completed on time! 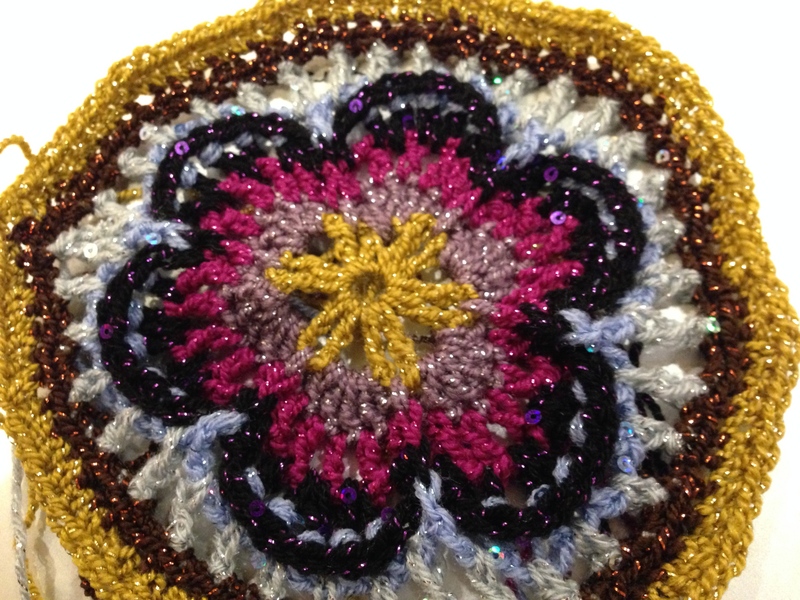 Sophie’s Universe – Part 4 corner detail with the petals. I love these little details in the corner – especially the petals that are 3-D. I found this part to be some what easier than the first 4 parts. The tulips are so fun to make!! The only parts I thought were a little complicated were the corner parts, but again with those fabulous instructions, I couldn’t fail!. 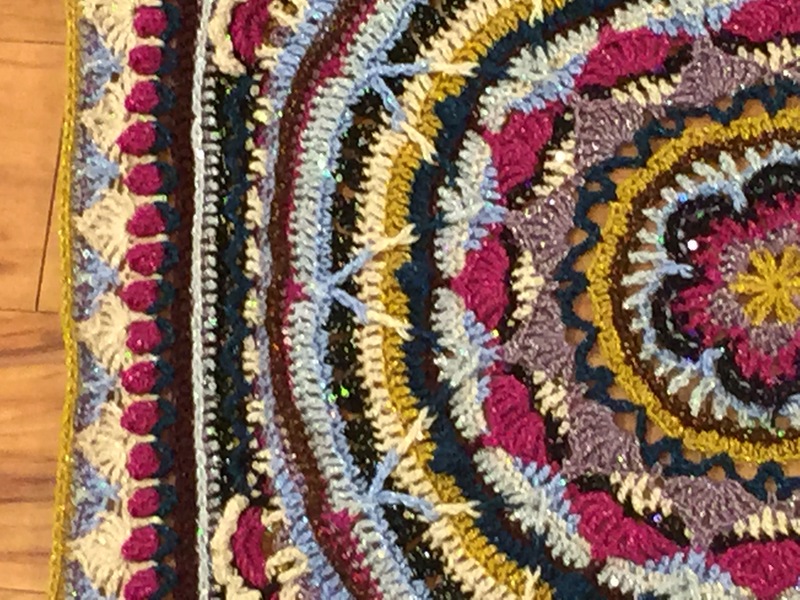 Sophie’s Universe – Part 5 – close up. I Am LOVING this CAL! !